The Courtyard by Marriott in Fairfield is centrally located between the San Francisco Bay Area and Sacramento. 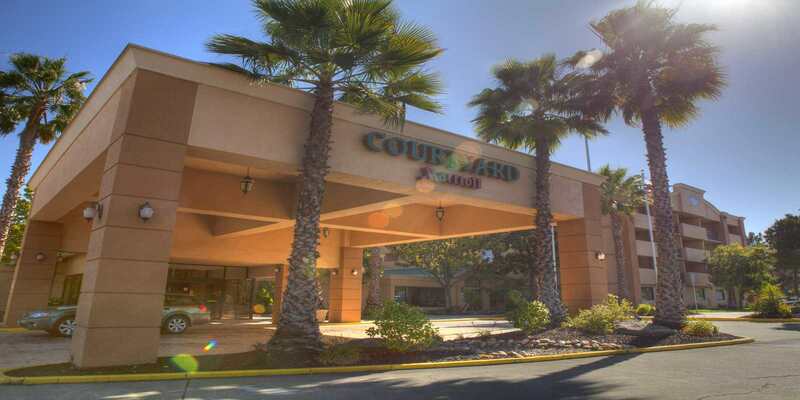 The Courtyard is also just minutes away from Suisun Valley and Napa Valley Wine Country as well as several popular attractions including Six Flags Discovery Kingdom and the Jelly Belly Factory. So whether you are coming for the NASCAR Toyota/Save Mart 350 at the Sonoma Raceway or BottleRock Napa Valley, Fairfield is the place for family and fun. Not to mention Fairfield and neighboring Vacaville are also booming with new and exciting businesses like Abott Laboratories, Ball Corporation, Copart, Boeing and North Bay Medical. The Courtyard by Marriott is perfect for the weary traveler trying to stay close to work, but looking for a relaxing environment only a stone's throw away from the office. Closely surrounded by premium outlets, award winning golf courses, and a diverse dining selection, Fairfield has something to offer everyone whether your business is work, or pleasure.